If you are looking for Upton Park rubbish disposal service Handy Rubbish can help you with any of your requirements. We’re sure you have other better things to do rather than clearing up rubbish, waste and junk! So let the professionals handle it for you. Our service is offered at the lowest costs in the area as we strongly believe that our customers deserve quality without breaking the bank. We cover gardens, households, offices, building sites, and many other waste disposal E6 situations, just call us on 020 3540 8282 today to see how we can help you. Our waste clearance E6 service is the perfect service for those in need of clearing up small or large quantities of waste or rubbish from their gardens. We are often hired to clear gardens after a landscaping project that has left the owner with large amounts of rubbish and waste, or to clear gardens that have not been attended to for years and need to be decluttered before starting some construction work. Our service is comprehensive and involves collecting and transporting the waste and finally disposing it in an environmentally conscious way and within strict safety guidelines. 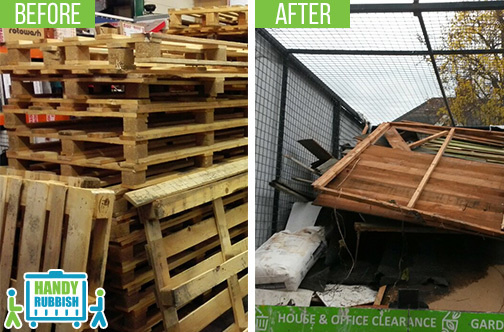 If you are looking for a one-off rubbish clearance in Upton Park or perhaps even a regular E6 waste collection service, then our service is exactly what you need. We cover both residential and commercial properties and we handle any type of material. We can book an appointment or set up a regular schedule based on your circumstances and the most suitable days for you. To find out more about this service and talk to one of our experts, simply give us a call on 020 3540 8282 now. If you have a load of old furniture that you have decided you no longer want and need to get rid of it, then we have the perfect service for you, especially designed for this situation. Our Upton Park, E6 rubbish removal service is a full package that covers the pickup of any type of furniture no matter what size, the loading and packing into our customised vans right down to the disposal of the furniture which involves recycling wherever possible. We can come to your property on any day during the week or on the weekends at the time best for you. Handy Rubbish covers all aspects of rubbish removal in E6 from garden to demolition site clear ups, ensuring we have a service for you. 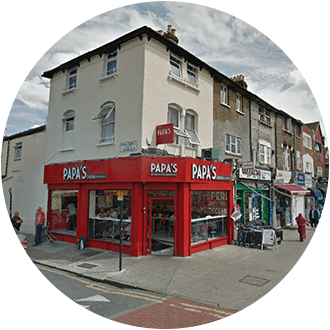 Our prices are among the lowest in the E13 area, which we continually make more competitive through multiple discounts on many of our packages. After you call us, we put together a unique package that solves your E6 waste removal problem and we arrive at your home or office on the day and time that is most convenient for you. You can count on us for a quick and prompt service too. To get a no obligation quote today, call us on 020 3540 8282. They took care of my waste collection task in E6 without any problems. When I first told them what I needed in Upton Park, they gave me a special offer which knocked more money off the bill – an offer that I didn’t hesitate to take! Upton Park has long been associated with football, being the home of West Ham United Football Club that play on the grounds of Upton Park. The area is situated in the East London Borough of Newham and occupies the E6 and E13postcode districts. The main Underground station in the area is the Upton Park tube station. There are also two key railway stations which are Forest Gate railway station and Wanstead Park railway station. A popular place here is the Queens Road Market, which is well known for selling a variety of food and clothing, and is held near to the tube station.